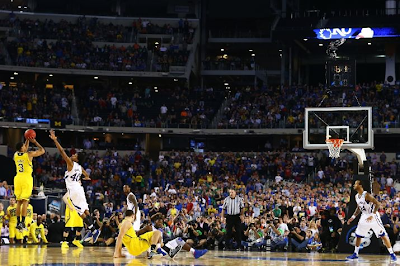 Trey Burke needed no more highlights to cement his place in Michigan basketball lore. But he gave us maybe his most signature moment in the waning seconds in the heroic comeback against Kansas last night. Improbable. Incredible. Insert you own adjective here. It was a program defining moment, one to embrace if you're a Michigan fan. This is Trey Burke. And Michigan is headed to the Elite Eight. Of course it wasn't just Burke. It was a team effort that put Michigan ahead of Kansas. But Burke led the way. Without him, Michigan would have been going home just like Sparty did against Duke...in a game very similar to Michigan-Kansas, without Burke of course. 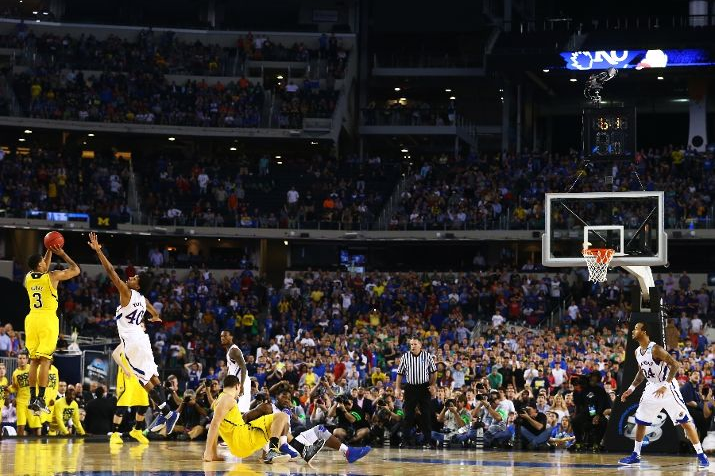 That was quite simply one of the most exhilarating moments Michigan sports has ever provided me. Go @umichbball and Go Blue!